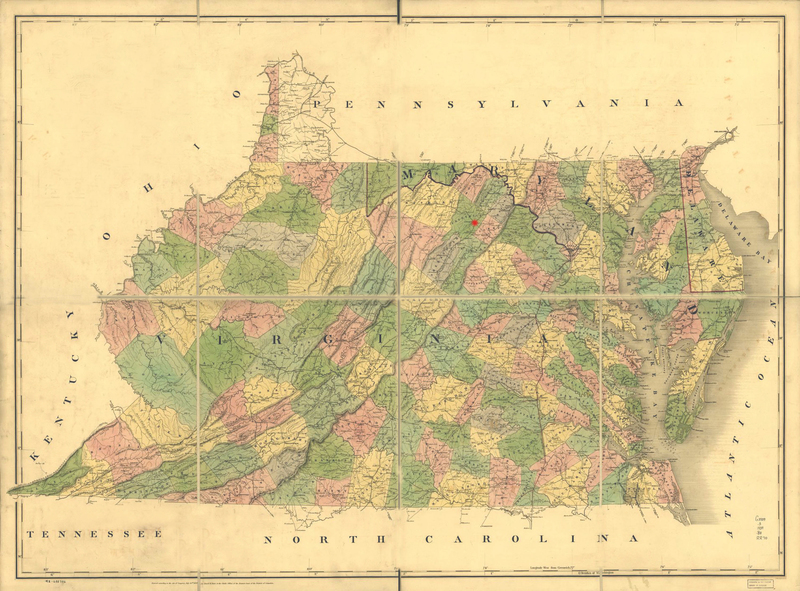 The “Delectable Mountains” pattern, used here in a succession of borders, was popular in both Maryland and Virginia. Amelia Lauck lived in the foothills of the Shenandoah, but there is no connection to the pattern name, which was invented much later. Amelia made this quilt at the age of 61 for her only daughter, Rebecca, and her son-in-law John Cunningham. (Look for their initials in the banner carried by the stuffed eagle in the center medallion.) Amelia was a master quilter, but she may have had help from some of the four enslaved women documented in the Lauck household in the 1820 census. 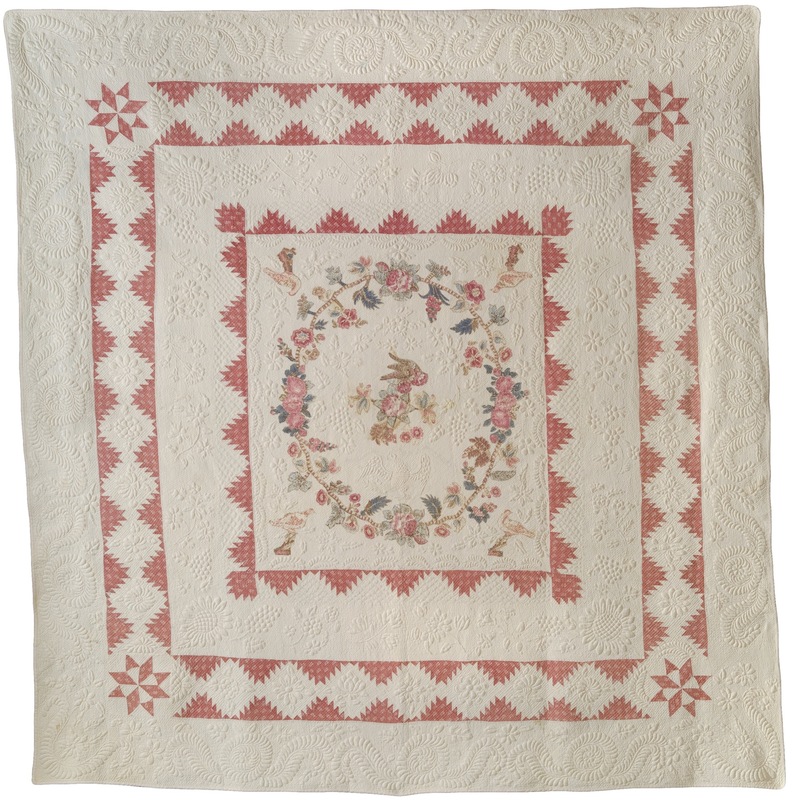 All of Lauck’s quilts use the same chintzes, one floral print and one with birds, in varying arrangements. This wreath uses mostly the pointy-petaled flowers, while the DAR’s other Lauck quilt uses mostly roses, taken from the same chintz. 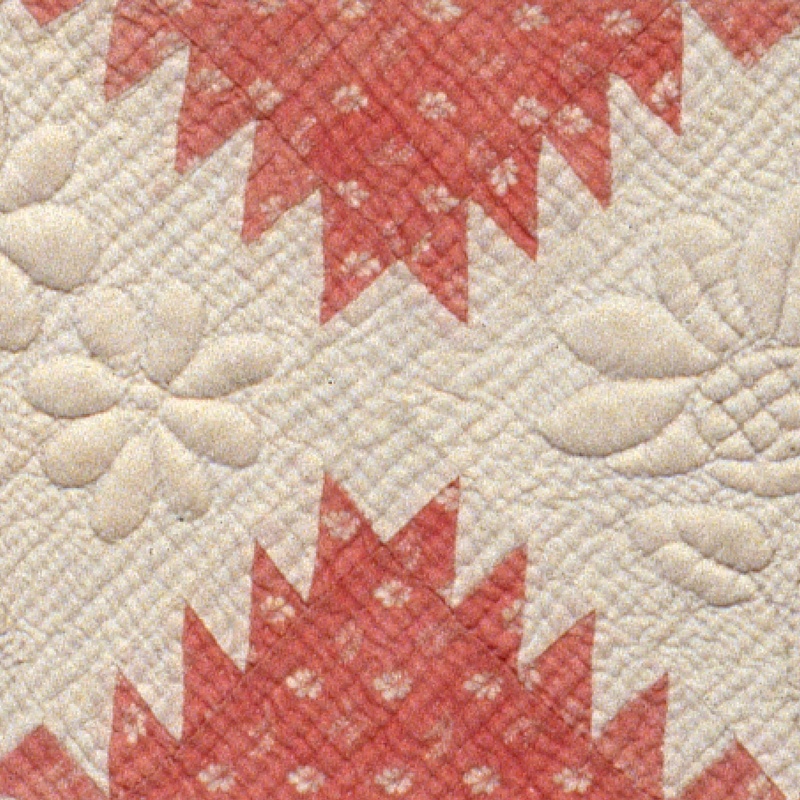 The other two Lauck quilts use both flowers, and one adds large peacocks. “Delectable Mountains” has a large triangle edged with a series of smaller triangles along the angled sides.